Samsung's M series is finally off the ground, starting in India. 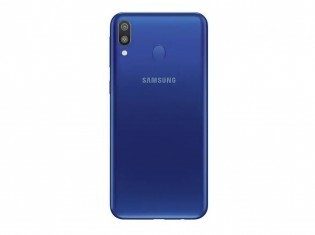 Today Samsung unveiled the Galaxy M10 and the Galaxy M20 as first members of its new midrange lineup. The two phones share large Infinity-V screens (read waterdrop notches), dual cameras on the back with a 13MP regular and 5MP ultra-wide angle modules, dual-SIM, Face unlock and aggressive prices. The Galaxy M20 is the more interesting of the two. It has a 6.3-inch 2340x1080px IPS LCD with a waterdrop notch for the 8MP f/2.0 selfie camera that doubles as a Face Unlock scanner. There's also a fingerprint scanner on the rear alongside the primary 13MP f/1.9 camera and the 5MP f/2.2 ultra-wide angle snapper. The Galaxy M20 is powered by an Exynos 7904 (14nm, 4x Cortex-A73 @ 1.8GHz and 4x Cortex-A53 @ 1.8GHz) with 3GB or 4GB of RAM. One of the marquee features of the Galaxy M20 is the large 5,000mAh battery with 15W wired charging support (charger included in the box). Finally the Galaxy M20 has a 3.5mm headphone jack, has a dual SIM slot and a dedicated microSD one, so you don't have to choose between the two. The phone has 64GB of storage and is running Android 8.1 Oreo with Samsung Experience 9.5 out of the box. 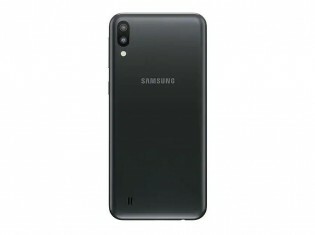 The Samsung Galaxy M10 has a slightly smaller 6.2-inch LCD of the lower 1520x720px resolution. It's Infinity-V notch hosts a more humble 5MP f/2.0 selfie camera and the phone has no fingerprint scanner. The rear cameras are the same combination of 13MP regular + 5MP ultra-wide. The chipset and RAM are another step down from the Galaxy M20 - an Exynos 7870 (14nm 8x Cortex-A53 @ 1.6GHz) that's mated to 2GB or 3GB of RAM. The battery of the Galaxy M10 is a 3,430mAh unit with regular charging and storage is half what the M20 has - 32GB. Both the Galaxy M20 and the Galaxy M10 will be available through Amazon India and Samsung's own store in Ocean Blue or Charcoal Black. The Galaxy M20 is priced at INR 11,000 (€135) for the 3GB model and INR 13,000 (€160) for the 4GB one. 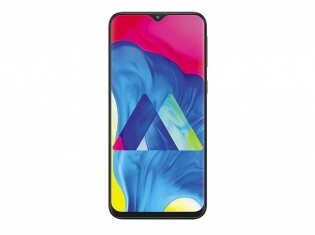 The Galaxy M10 costs INR 8,000 (€100) for the 2GB entry-level model and INR 9,000 (€110) for the 3GB model - shipments commence on February 5. 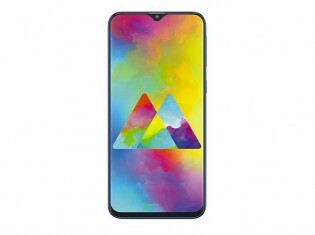 I want buy Samsug galaxy new M10 phone, i like this phone please let me know as soon as possibl.